Our experience with basement conversions has seen us carry out an array of basement conversions on a wide range of properties. From basement design to basement waterproofing and construction, we’re here to support you from start to finish. If you’re looking for a complete basement conversion, we can guide you through various basement designs to meet your requirements. The majority of basement conversions we work on are often old basements that are used for storage space and are uninhabitable. As building preservation specialists, we’re experts when it comes to basement waterproofing, and can convert your basement into an additional room within your house. Call one of our experts today on 01793 272085 to find out more. If you’re running out of space at home or have an extra member of the family on the way, moving can be an extremely stressful and costly process. A basement conversion could be exactly what you’re looking for and provide you with that extra freedom you were looking for in a new home. 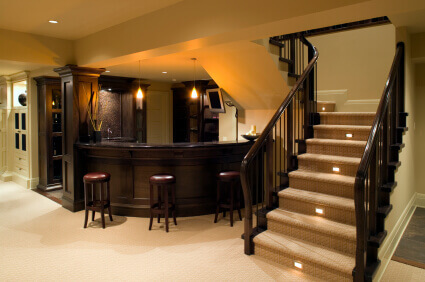 As an industry leading basement conversion company, we’re able to convert your basement into just about anything. From kitchens and bathrooms to relaxing chill-out rooms, our craftsmen can make your dreams a reality. Our personalised approach to basement conversions set us aside from the competition. We’re here for you and will support you through every step of basement construction and provide extensive after-sales support. Our expert craftsmen go above and beyond when it comes to industry standards and know everything there is to know about planning regulations. Your basement conversion is in safe hands as our craftsmen can provide advice and support on all planning applications and building regulations too. We’re here to make your house a home and every one of our basement conversions is tailored to your specifications. You will have your very own dedicated craftsmen to take you through initial basement design and ensure that the basement conversion will include everything you could ever need. Our thorough project planning will give you peace of mind when it comes to the basement conversion cost. The possibilities are truly endless with Biocraft South Wests’ capabilities; from state of the art cinema rooms to contemporary office designs, we strive to be the very best. Most basement conversions tend not to require planning permission unless you are looking to add windows or changes to the exterior. For these types of basement conversions and basement extensions, we will assist you with obtaining planning permission by liaising with local authorities on your behalf. Depending on your basement design we may need to excavate the existing floor area in order to create enough headroom throughout the basement. We recommend all planning applications are submitted under the full plans application rather than the building notice procedure. This way your basement designs are formally checked and adjustments can be made to the layout and work accordingly. Creating additional work space or redesigning the family home doesn’t always mean you need an extension and can often be restricted by planning regulations. Basement extensions are a great way to create additional space within your home and more often than not can be carried out with little or no planning permission. During basement construction, we may need to adjust the original floor structure in order to create more internal space and head room. This type of basement conversion would require floor excavations and may alter existing foundations. To ensure maximum structural integrity, our basement construction would require existing walls to be underpinned. If the basement conversion works affect a party wall (for example the party walls are affected by the basement conversion or basement extension), then associated parties of all adjoining properties are to be notified under the Party Wall Act 1996. Once we have finalised the basement design any applications can be submitted to the local authority for formal evaluation. 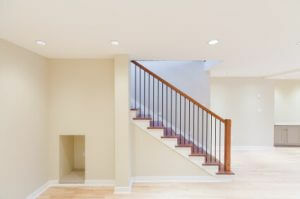 Once the basement conversion application has been accepted we can get straight to work on your dream basement design! Biocraft South West have been providing the very highest standards of basement conversions in line with regulations defined by the British Standards 8102 code of practice. 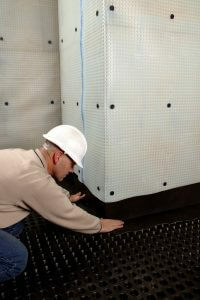 Selecting a waterproofing system that best fits your basement design is essential. This is an area where your basement conversion cost should not be scrimped on. We have previously worked on basement conversions that have had little or no basement waterproofing, so it essential to take the most appropriate course of action. There is a multitude of basement construction variables including movement between the walls and flooring as well as how the basement conversion space is going to be used. At Biocraft South West we strive for excellent and deliver nothing but the best basement conversions in the Wiltshire area. Our damp proofing techniques and basement waterproofing are second to none, and our waterproofing experts are versed in various damp proofing techniques. 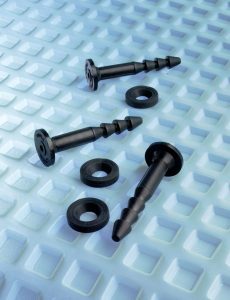 Cavity membranes have become quite a common method used throughout basement waterproofing due to their flexible functionality and unparalleled damp proofing benefits. The membranes are toughened, studded sheets that are applied to the floors and walls of the basement conversion to form a watertight seal. They are completely sealed at all corners and any moisture that enters the structure is maintained behind the waterproof membrane. All sources of moisture are diverted by the studs towards a drainage area that is designed prior to the basement waterproofing process. Our bespoke basement design and expertise in basement waterproofing make us one of the best basement conversion companies around. All basement conversion projects are of the highest quality so call us today on 01793 272085 for a quote and to provide more information on your requirements.